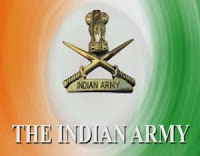 The Indian Army is the land based branch and the largest component of Indian Armed Forces. The President of India is the Supreme Commander of the Indian Army, and it is commanded by the Chief of Army Staff, who is a four-star general. Soldier Clerk/ Store Keeper Technical / Other Posts: Applicants who have completed 10th / 12th exam pass in any stream (Arts, Commerce, and Science) with 60% marks in aggregate and minimum 50% in each subject. Should have studied and passed English and Maths / Accounts / Book Keeping in Class X or Class XII with 50% marks in each subject or equivalent from a recognized Institute for Indian Army Rally Sarkari Naukri 2019.